Update, 4 p.m. EST: Sierra Nevada’s statement, which was posted after the story was first published, is now mentioned below. Sierra Nevada’s protest concerning NASA’s commercial crew program was turned down today (Jan. 5), according to a statement from the U.S. Government Accountability Office. The company is developing a spacecraft called the Dream Chaser, which was in competition for NASA funding along with Boeing’s CST-100 and SpaceX’s Dragon to bring crews to the International Space Station. A few months ago, NASA awarded further development money to Boeing and SpaceX, prompting a protest from Sierra Nevada. The prices for each proposal were as follows: Sierra Nevada was $2.55 billion, Boeing’s was $3.01 billion and SpaceX’s $1.75 billion. NASA, the GAO said, had “no undue emphasis” on any proposal’s schedule or the chances of a particular system making it to orbit by 2017. Also, the agency did say in its request for proposals that the 2017 certification goal would be a part of the process — a different point than what Sierra Nevada argued, who said the agency had added that stipulation while the process was underway. NASA’s review of SpaceX’s price and “financial resources” was adequate, along with its evaluation of the competing proposals in terms of mission suitability and past performance. This was in contrast to Sierra Nevada’s argument. This is part of what Sierra Nevada had to say about the decision. The company also said it plans to maintain ties with NASA. The full statement is here. SNC also plans to further the development and testing of the Dream Chaser and is making significant progress in its vehicle design and test program. In addition, SNC is continuing to expand its existing, while developing new, partnerships domestically and abroad in order to expand the multi-mission flexibility of the system, reduce overall long-term costs of the vehicle and ensure long-term affordability and sustainability for the Dream Chaser. A public record of the decision is expected in a few weeks. Right now, due to the proprietary nature of the information, only NASA personnel and a few “outside counsel” are able to view it, the GAO added. In the ‘new race to space’ to restore our capability to launch Americans to orbit from American soil with an American-built commercial ‘space taxi’ as rapidly and efficiently as possible, Boeing has moved to the front of the pack with their CST-100 spaceship by completing all their assigned NASA milestones on time and on budget in the current phase of the agency’s Commercial Crew Program (CCP). Boeing is the first, and thus far only one of the three competitors (including Sierra Nevada Corp. and SpaceX) to complete all their assigned milestone task requirements under NASA’s Commercial Crew Integrated Capability (CCiCap) initiative funded under the auspices of the agency’s Commercial Crew Program. The CST-100 is a privately built, man rated capsule being developed with funding from NASA via the commercial crew initiative in a public/private partnership between NASA and private industry. 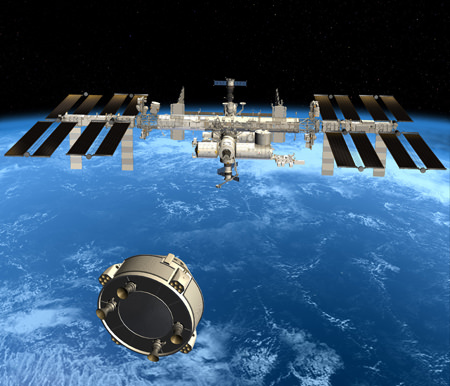 The overriding goal is restart America’s capability to reliably launch our astronauts from US territory to low-Earth orbit (LEO) and the International Space Station (ISS) by 2017. Private space taxis are the fastest and cheapest way to accomplish that and end the gap in indigenous US human spaceflight launches. Boeing announced that NASA approved the completion of the final two commercial crew milestones contracted to Boeing for the CST-100 development. These last two milestones are the Phase Two Spacecraft Safety Review of its Crew Space Transportation (CST)-100 spacecraft and the Critical Design Review (CDR) of its integrated systems. The CDR milestone was completed in July and comprised 44 individual CDRs including propulsion, software, avionics, landing, power and docking systems. The Phase Two Spacecraft Safety Review included an overall hazard analysis of the spacecraft, identifying life-threatening situations and ensuring that the current design mitigated any safety risks, according to Boeing. “The challenge of a CDR is to ensure all the pieces and sub-systems are working together,” said John Mulholland, Boeing Commercial Crew program manager, in a statement. Passing the CDR and completing all the NASA milestone requirements is a significant step leading to the final integrated design for the CST-100 space taxi, ground systems and Atlas V launcher that will boost it to Earth orbit from Space Launch Complex-41 on Cape Canaveral Air Force Station in Florida. 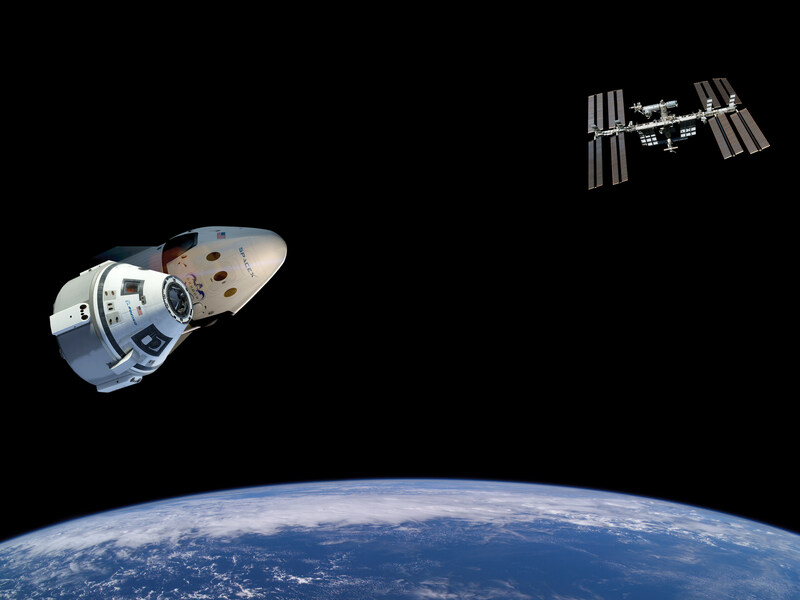 The Sierra Nevada Dream Chaser and SpaceX Dragon V2 and are also receiving funds from NASA’s commercial crew program. All three American aerospace firms vying for the multibillion dollar NASA contract to build an American ‘space taxi’ to ferry US astronauts to the International Space Station and back as soon as 2017. NASA’s Commercial Crew Program office is expected to announce the winner(s) of the high stakes, multibillion dollar contract to build America’s next crew vehicles in the next program phase, known as Commercial Crew Transportation Capability (CCtCap), “sometime around the end of August/September,” NASA News spokesman Allard Beutel confirmed to me. There will be 1 or more CCtCAP winners. On June 9, 2014, Boeing revealed the design of their CST-100 astronaut spaceliner by unveiling a full scale mockup of their commercial ‘space taxi’ at the new home of its future manufacturing site at the Kennedy Space Center (KSC) located inside a refurbished facility that most recently was used to prepare NASA’s space shuttle orbiters for assembly missions to the ISS. The CST-100 crew transporter was unveiled at the invitation only ceremony and media event held inside the gleaming white and completely renovated NASA processing hangar known as Orbiter Processing Facility-3 (OPF-3) – and attended by Universe Today. The huge 64,000 square foot facility has sat dormant since the shuttles were retired following their final flight (STS-135) in July 2011 and which was commanded by Chris Ferguson, who now serves as director of Boeing’s Crew and Mission Operations. “The first unmanned orbital test flight is planned in January 2017… and may go to the station,” Ferguson told me during our exclusive interview about Boeing’s CST-100 plans. Boeing has received the largest share of funding in the current CCiCAP phase amounting to about $480 million. SpaceX received $460 million for the Dragon V2 and Sierra Nevada Corp. (SNC) has received a half award of $227.5 million for the Dream Chaser mini-shuttle. SNC will be the next company to complete all of NASA’s milestones this Fall, SNC VP Mark Sirangelo told me in an exclusive interview. SpaceX will be the final company finishing its milestones sometime in 2015. Stay tuned here for Ken’s continuing Boeing, Sierra Nevada, SpaceX, Orbital Sciences, commercial space, Orion, Curiosity, Mars rover, MAVEN, MOM and more planetary and human spaceflight news.